Well, it's 8 p.m. on Wednesday, and my totally unique never-been-seen-on-the-interwebs DIY project for this week is not finished. So I feel like a kid the day before a science project is due, which is the point at which you get your parents to do it for you. In my case, I will feature someone else's DIY project again this week. That cute ruffled pillow above? Not mine. 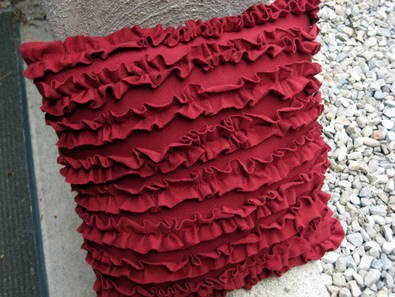 Ruffles are a big trend right now, both for clothes and for home decor. Fortunately, they are also easy to make - run a long stitch through a strip of fabric and pull the thread. Here's the gamut of what you can do yourself. 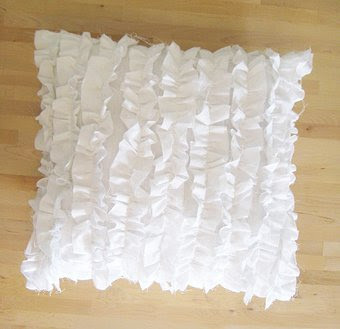 Merrilee from Mermag created a ruffled pillow tutorial for Kelly+Olive. Photographer Ashley Ann via UCreate used a similar technique with contrasting fabric. 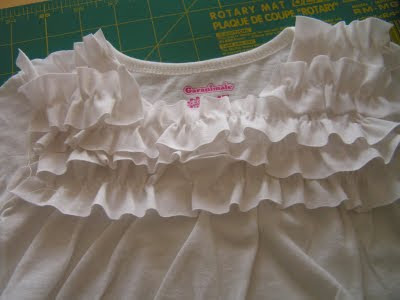 Add ruffles to a t-shirt with a tutorial from Tea Rose Home. 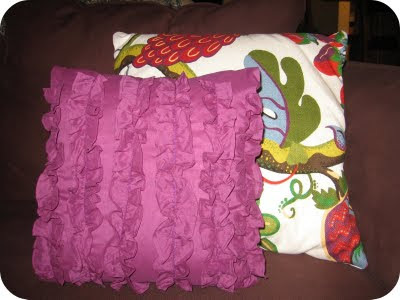 Turn a ruffled shirt into a pillow at Homemade by Jill. These are great ideas! 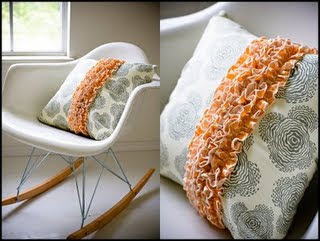 I love how girly and yet architectural and modern these pillows are. The contrasting one is especially appealing. Thanks for the ideas (even if they weren't your own..jk!). oh man, i know that feeling! thanks for the mention! 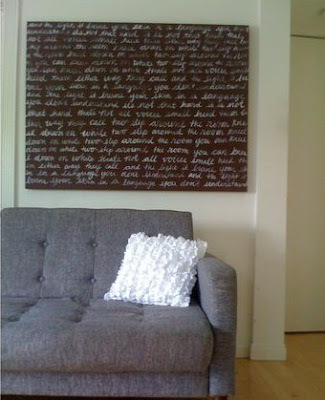 I love the black picture on the wall-even though I can't read the words....can you tell me about it please? 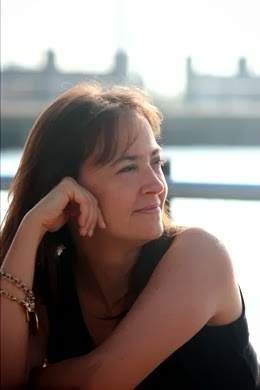 The project was from Merrilee of Mermag. Her E-mail is merrileeliddiard[at]hotmail.com. She may be able to tell you about the artwork.